The Blessed Virgin Mary, appeared six times to three shepherd children near the town of Fatima, Portugal between May 13 and October 13, 1917. Appearing to the children, the Blessed Virgin told them that She had been sent by God with a message for every man, woman and child living in our century. She promised that Heaven would grant peace to all the world if Her requests for prayer, reparation and consecration were heard and obeyed. These visitations culminated in the public Miracle of the Sun event, even as the apparition of Virgin Mary divulged three secrets to the children. 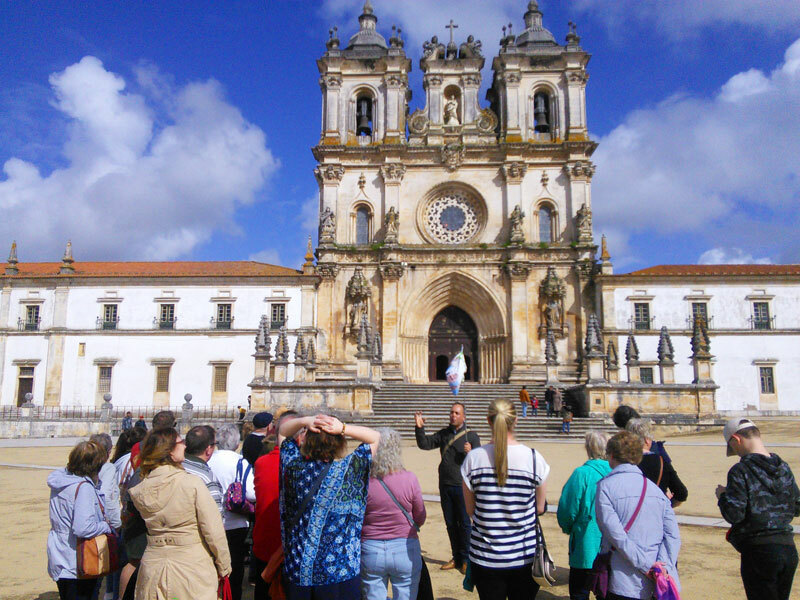 Having successfully led pilgrimages to other destinations, we were approached by several priests to organise their next parish pilgrimages to Fatima. Supporting the local community of Fatima, we chose works closely with small family run businesses and local people to create an authentic and personal pilgrimage experience in Fatima. It was our pleasure to welcome the staff from our first choice hotels in Fatima to visit our home city of Bath and enjoy an afternoon of sightseeing and lunch! Our friendly office support team in Fatima ensure all our Fatima pilgrimages run smoothly and pilgrims are well looked after every step of their journey. Visit Aljustrel, the nearby village where the shepherds Francisco, Jacinta and Lucy were born. Walk through the village streets and enter into their former homes to pray before visiting the Basilica of the tombs of Saint Lúcia, Saint Francisco and Jacinta; and the Chapel of the Apparitions, the place where the Blessed Virgin Mary appeared. Visit the site of Our Lady’s fourth apparition including the place where the children received the first and third visit of the “Angel of peace” whilst praying the Way of the Cross in this peaceful and idyllic setting. Visit the Monastery of Santa Maria da Vitória, one of the most interesting XV century European gothic constructions, classified a UNESCO world heritage site. From here drive on to Nazare, an extraordinary and traditional Portuguese beach with the Sanctuary of Our Lady of Nazareth. Each day there will be the opportunity to celebrate Holy Mass in one of many beautiful chapels in and around Fatima. You may visit the parish church where Jacinta was baptised.